My twins Hillary and Hanna love button mushrooms. This is a simple dish that makes them happy and contented. Marinade the minced meat with the light soy sauce, dark soy sauce, sugar, and sesame oil for at least 15 mins. Heat oil in pan over medium heat, add minced ginger and garlic, and fry until light brown. Add minced meat, breaking into loose pieces as your fry. 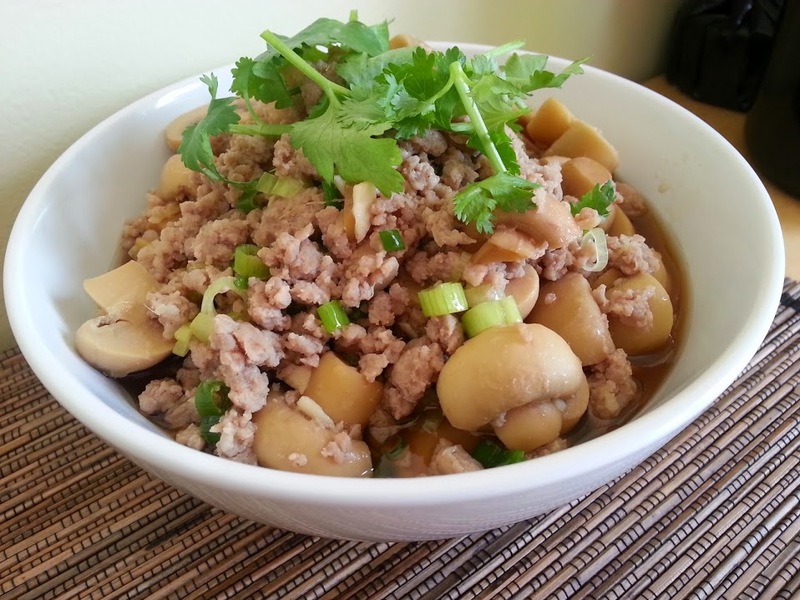 Add button mushrooms when meat is half cooked and continue to stir fry. When meat is cooked, add 1/2 cup water and bring to boil. Serve hot. Garnish with cilantro.